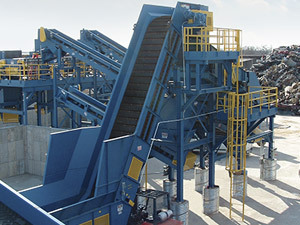 Our heavy-duty tumble back metering conveyors help regulate the amount of bulk material being delivered and the spacing between specific items. 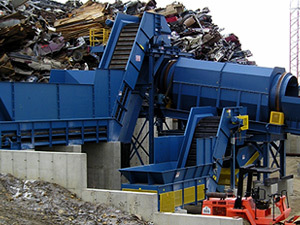 The drive consists of a 7½ HP 1800 RPM electric motor. The belting uses 3-ply 330 rubber and side bars are precision die punched HR 1044 high carbon steel. The frame is braced and reinforced for rigidity in all planes and is completely shop fit and welded.